Active ETFs are the latest phase of a product revolution in the Australian investment market, proving accessible and transparent listed options are gaining popularity fast. Passive ETFs have the lion’s share of the $40 billion Australian ETF market, but the active sector is catching up, capturing more than 2 billion of the net assets today with about 24 products listed since 2015, according to Morningstar data. The needs of self-directed investors, including transparency and accessibility, are encouraging investment managers to join the growing move into active ETFs, says Morningstar associate director, manager research Alexander Prineas. 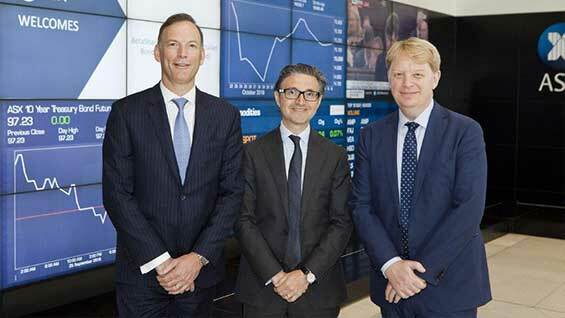 Western Asset head of investment management Anthony Kirkham with BetaShares CEO Alex Vynokur and Legg Mason managing director Andy Sowerby at the ASX listing ceremony. "The self-directed investor market is being recognised as quite a large market," Prineas said. "That group have typically tended away from platforms and their fees, instead preferencing listed investments such as direct shares, LICs and increasingly ETFs which they can easily access via an online brokerage account. "It's not surprising that active managers are now trying to provide actively managed products to these investors where they feel the most comfortable." And active managers are eager to get a slice of the funds flowing into ETFs, specifically global equity products, Prineas adds. "Australian investors have typically had a home bias, with large segments of their portfolios invested in cash and domestic equities. But then ETFs came on to market, providing investors simple access to global equities, and we saw enormous inflows into that category." Morningstar manager research analyst Anshula Venkataraman adds that relaxed disclosure in Australia could help explain the large number of active exchange-traded products in the pipeline. Unlike US funds, Australian fund are not required to fully disclose portfolios on a daily basis, which can dissuade some active managers. The Australian regulator ASIC does not require daily or monthly portfolio disclosure for active ETPs. In the three years since the first active ETF listed in 2015, several investment management firms have been scrambling to bring products to market. On Monday this week, global fixed-income manager Western Asset listed the first active fixed interest ETF on the Australian market - the BetaSahres Legg Mason Australian Bond Fund (ASX: BNDS). And at a business roundtable in Sydney today Alphinity Investment Management hinted it was working with Australian investment management group Fidante Partners to launch an active ETF. Other products launched in the past two months include the Fidelity Global Emerging Markets Fund (ASX: FEMX) – an active ETF which will invest in emerging market companies via a concentrated portfolio of 30-50 stocks. 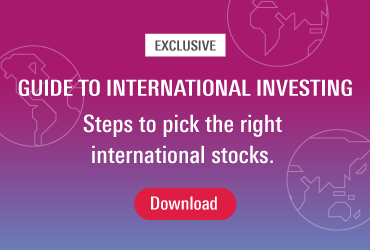 And earlier this month, Antipodes Partners announced the Antipodes Global Shares ETF (ASX: AGX1), which seeks to generate returns above the MSCI All Country Wold Index. The most popular among investors remains the Magellan Global Equities (ASX: MGE) active ETF, which launched in March 2015, with $1.1 billion in net assets – just under half of all net assets within the active ETF category. Advantages of active ETFs, compared to unlisted managed funds, include instantaneous trading, intra-day pricing, and paperless transactions via share trading platforms such as CommSec or Westpac Broking. But Venkataraman warns investors to be wary of these new products. Firstly, Active ETPs in Australia can cost more than their unlisted counterparts and passive products. For example, Magellan charges the same fee of 1.35 per cent for MGE as its unlisted fund Magellan Global Equities, and K2 charges a steep 2 per cent for KII and KSM. "It’s reasonable to expect active ETPs to charge higher management fees than passive ETFs but be aware that it may also cost more to buy and sell an active ETP," Venkataraman said. "Unlike an unlisted fund, investors will have to pay brokerage." Venkataraman also warns investors to be wary of bid/ask spreads on active ETFs, which are typically higher than pure-passive products. The bid-ask spread is the difference between the bid price and ask price prices for a particular security. "Investors should keep in mind that these spreads have been the average experience to date –spreads could compress as assets and track records expand, but spreads could also widen further in times of acute market stress," Venkataraman said. For this reason, Morningstar maintains a lower rating on active ETPs than for their equivalent unlisted unit trust. For example, the Platinum ASIA managed fund is rated Silver, while the Platinum Asia listed fund PAXX is rated Bronze. Venkataraman says investors should treat active ETPs with the same caution they would any other investment - assessing the product structure, investment strategy, and the capability of the asset manager, "rather than just assuming that active ETPs are a panacea for easy access to active management." It remains to be seen whether Australian investors will be happy with less frequent and lagged disclosures compared with vehicles abroad. However, Venkataraman notes that active ETP disclosure is better than many unlisted managed funds in Australia. While Venkataraman expects a lot more active ETPs to come to market in the coming years, to really take off and compete against managed funds, she says it will take more than a disclosure advantage. "To succeed, active ETPs also need sufficient brand, distribution, and crucially, investment expertise," she said.